„Philosopher, father of semiotics, writer, professor, journalist, expert in ancient books: in each of their souls Umberto Eco was an international star, but with his students, readers, colleagues, Eco never exhibited such a snob pose that would have been adopted by other writers who have published bestsellers such as The name of the rose and Foucault’s pendulum. Umberto Eco laughed, reported on the latest news and -lighting a cigar had a last joke before submitting a new linguistic theory. 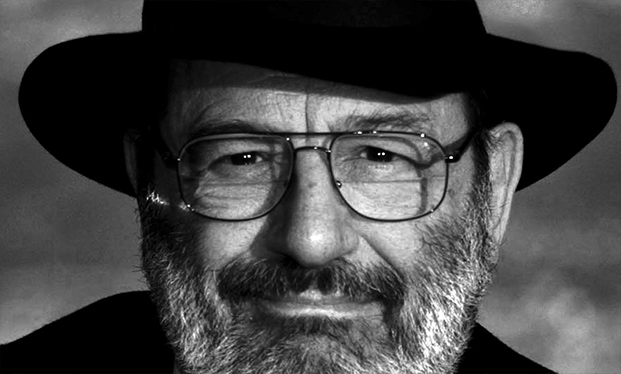 “ We borrow the words of Gianni Rotta in La Stampa diary of Turin to farewell Umberto Eco. 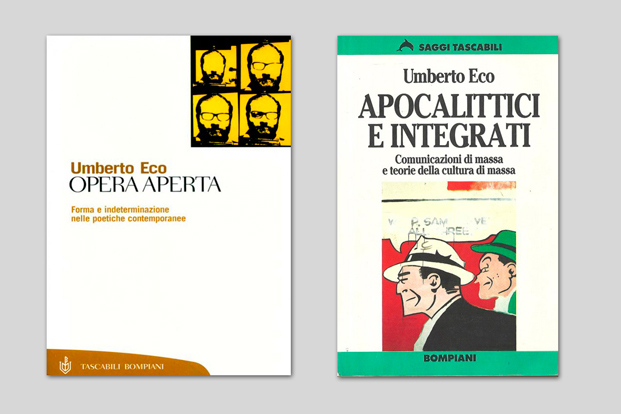 Eco’s work, especially Opera Aperta (Open Work, 1962) and „continuation“ Apocalittici e integrati (Apocalyptic and integrated, 1964), is a clear influence for visual communication and philosophy. A new vision of the world in which they occur adaptive structures and the influence of mass media on society.